Jepson completed the civil engineering design for the BIA’s new headquarters building. The BIA wanted to highlight the integration of low impact development techniques with affordable, easily built construction techniques. Jepson incorporated the use of permeable pavements, bio-retention facilities, and roof cisterns within the stormwater design. 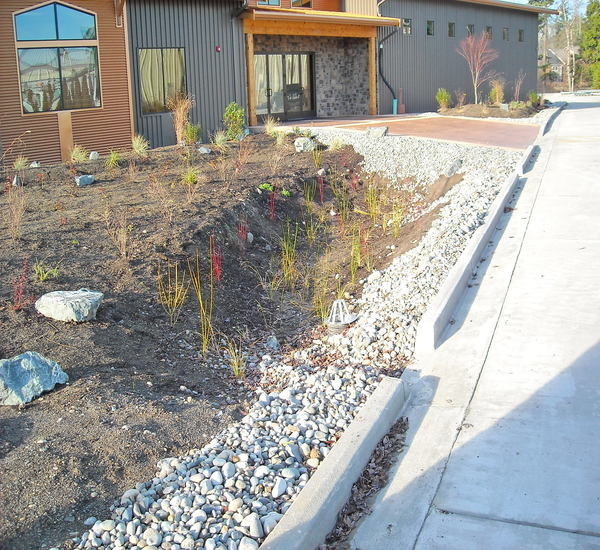 Jepson worked closely with the project team including architect, landscape architect, wetland biologist and City of Bellingham staff to bring this design in on-time and on-budget. Jepson performed the surveying and civil engineering design for the new King Nissan car dealership. These improvements included the widening of Iowa and Racine Streets. The on-site design showcases new cars as well as provided facilities for deliveries and service. The stormwater management design included primary and secondary stormwater treatment and an underground concrete vault. Jepson worked closely with Dawson Construction throughout the construction phase and provided construction staking and coordination services. Jepson was hired by Haskell Corporation to plan, design, and provide construction support services for the Haskell Business Park. 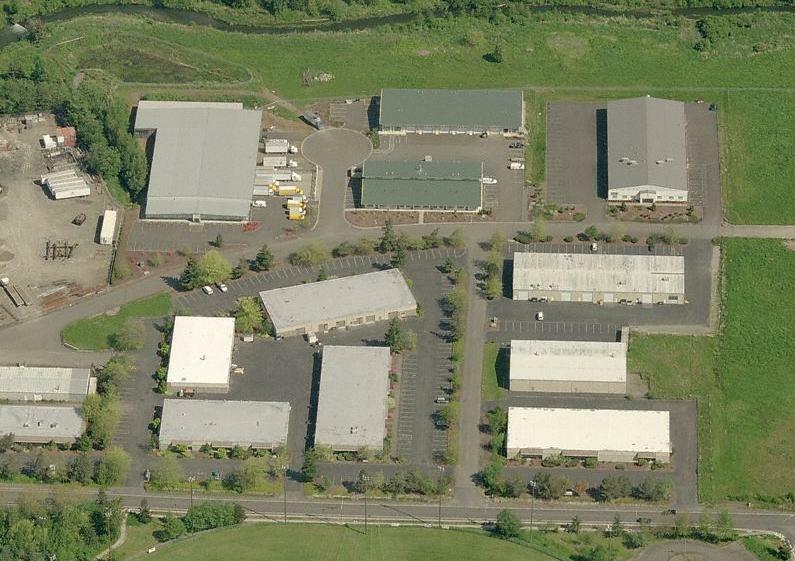 This multi-phased project included the surveying for the general and specific binding site plans, lot planning and layout, grading and utility design, and stormwater facility design. Jepson provided the planning, civil design, and surveying for the layout, design, and construction of the Sunset Square Shopping Center. Improvements included Sunset Drive widening, parking lot layout, drainage design, and utility infrastructure design. Jepson performed the surveying, planning, civil design, and construction support services for the Meridian Village Shopping Center. Civil design included stormwater, sanitary sewer, water, and dry utilities as well as parking lot and building pad grading. Project challenges included the civil design for the Meridian Street and Telegraph Road frontage improvements. Jepson provided the planning, civil design, surveying and construction administration services for the construction of the roadway, utilities, sewer lift station, stormwater system and traffic circulation plan for the development. 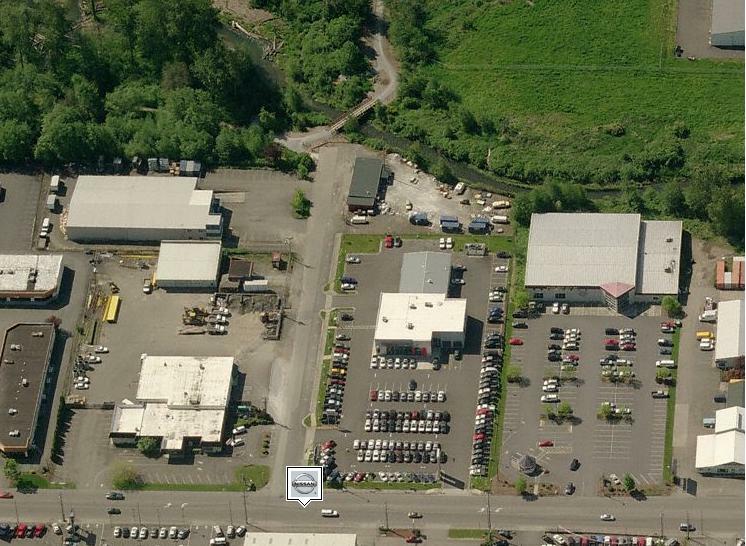 Jepson designed the road frontage improvements along State Route 20 to meet WSDOT specifications and performed the surveying services necessary to file the general and specific binding site plans. 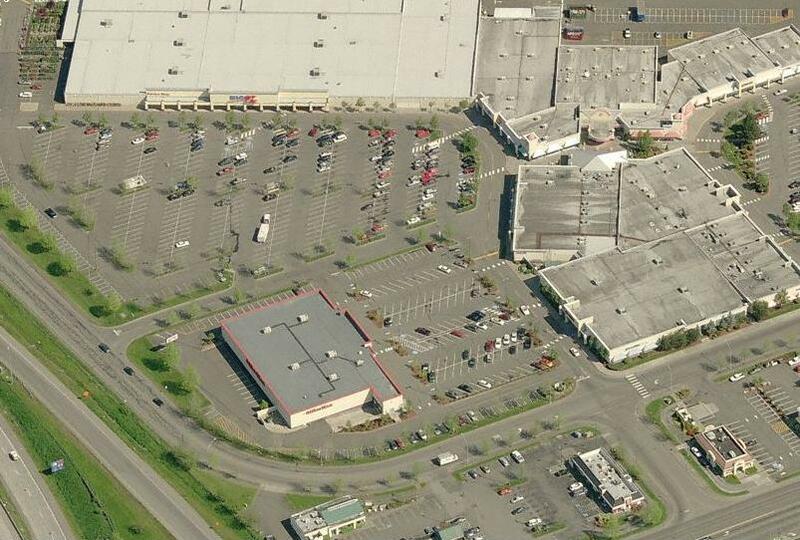 Jepson performed all civil design and surveying services for this ten-acre shopping center located between Kelso and Longview. Extensive WSDOT highway modifications were needed to provide access to the center and revised signalization was installed on the surrounding highways.